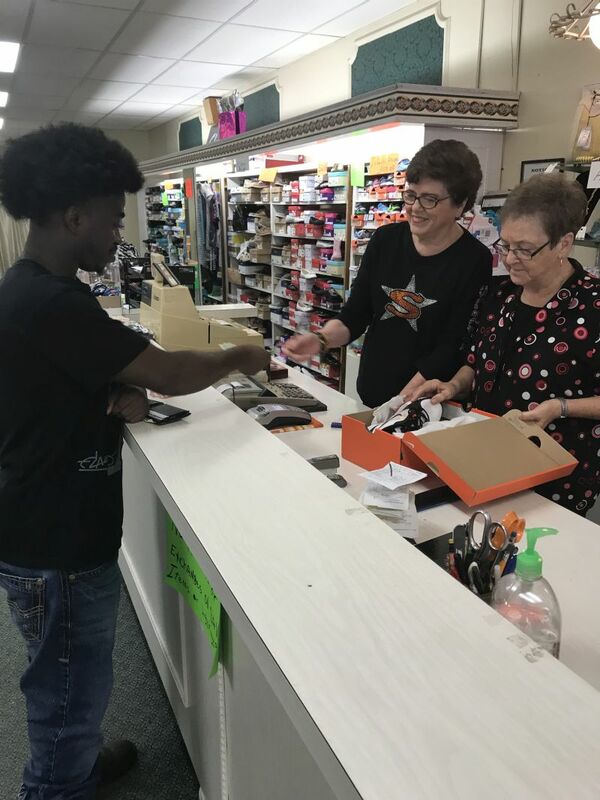 Owner Shirley Chalker, employee Linda Gaddis, and shopper Jabin Specks buys a pair of “Sale” shoes as the business prepares to close by the end of the year. Originally the store was opened in 1948 by Jack Rorex. Shirley went to work for Jack in 1957 when the store was next to Regions bank. 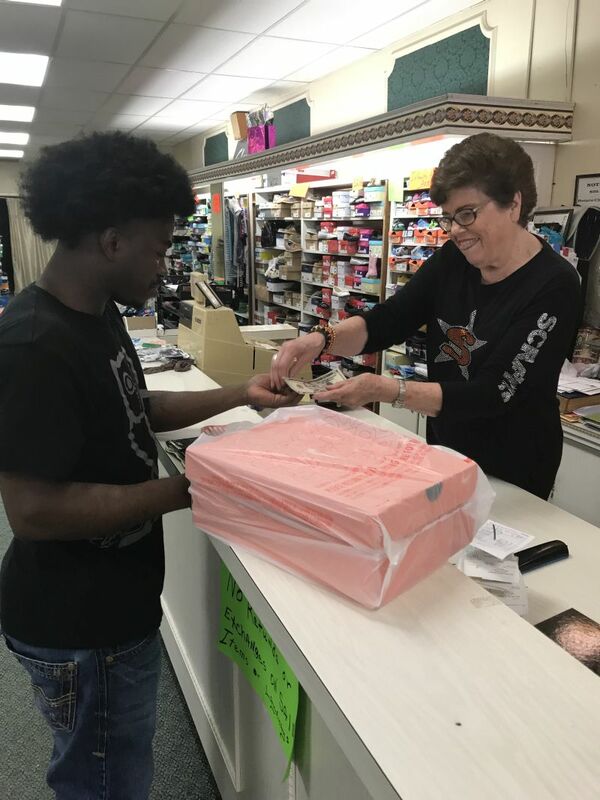 In 1973, Dale & Shirley Hamilton bought Quality Shoe Store & Budget Shoe Store which was next to the Town & Country in the next block South of the Quality Store location. In 1998 the couple moved Quality Shoe Store & combined with the Budget Store at the South Main location. Dale passed away in 2008. Since then Shirley married Benny Chalker & they are looking to retire after Shirley has worked / owned the store for 61 years. The Nashville Chamber of Commerce wishes them the very best future as they look toward retirement. In the mean time go by & check them out for shoes that are on sale. Don’t wait as the current inventory is on the move!